- Sweet, simple, and slightly silly. Snowmen made of ice cubes are a new twist on a familiar winter sight. 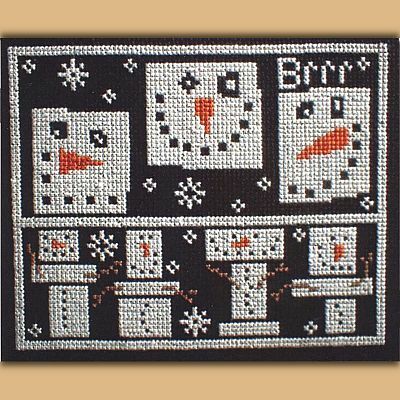 This is a fun and easy project, with only 3 colors of floss. Design measures 70 stitches high by 86 stitches wide. Do you have any other questions about our N'ice Cubes Pattern?